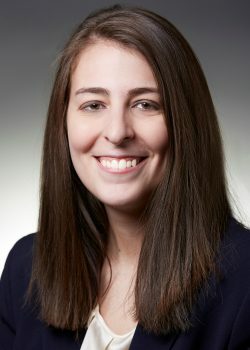 Michele M. Subers is an associate in the firm’s liability department and has experience handling employment law cases. She was admitted to practice law in Delaware in 2017 and just recently passed the Pennsylvania Bar Examination. She graduated from the Pennsylvania State University with a B.A. in Philosophy and a minor in Human Development and Family Studies in 2013. She obtained her J.D. from Widener Delaware Law School in 2017. Before joining the firm, she was a law clerk at an Employment Law Firm for two years, where she began to stem a special interest in employment law. In her third year of law school, she founded the Employment Law Society on Widener Delaware Law School’s Campus, and presided as President. In her spare time, she loves going down to the shore in North Wildwood to spend time with her family and friends.